The first thing to do when it comes to protecting your house is to install a secure lock. Although it’s a good thing for you to have a security mechanism inside your home for additional protection, nonetheless, having a secure lock installed on your door will be a great deterrent for any burglar. In order to ensure that you have highly secure locks on your doors, you’ll need to inquire into hiring a reliable locksmith to install your door locks for you. However, you need to be aware of the type of locksmiths you hire. Some of them who don’t understand the professionalism of the trade can end up causing you more harm than good. 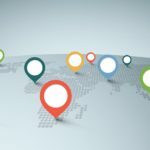 This informative article will show you the differences between hiring a reputable, dependable locksmith and a phony one. As well as the advantages that come with hiring reliable locksmiths for your door locks. For you to be able to identify a reliable locksmith, you have to first know the characteristics that a good locksmith should have. For starters, a reliable locksmith should have a proper registration with the Business Bureau. You can easily find it by looking online or by looking in the business section of the yellow pages. One other way of finding a reliable locksmith is by asking family and friends for recommendations. 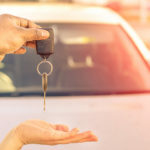 Probably one or two persons may have used a locksmith in the past and should be able to recommend a reliable one from their experience with them. After getting some recommendations, don’t rush off to engage his/her services. Find out how long they have been in business and also read up on customer reviews and testimonials from their website. What if they don’t have a website? – then don’t even consider them. In this technology and internet age, any locksmith that doesn’t have a website is not worth considering. When you decide to call the locksmith company after reading up on them. Pay close attention to how they answer the phone in case you ever need them in an emergency. 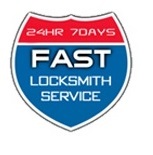 A professional and reliable locksmith company will always respond with the name of their business. They should have the ability to provide you with a rough estimate over the telephone, detailing specific service fees and cost of parts. Ask about their insurance. All reliable locksmith will be insured against damage to your property as a result of a faulty installation. Another thing a reliable locksmith will be prepared to do is to show you proper identification when you request them. You may not have the time to go through all the above processes to choose a locksmith, nevertheless, it’s something that you need to do. Save yourself a lot of frustration and money in the long run. Moreover, if you value your loved one’s life make every effort to get a reliable locksmith for your doors.